Oh Man, I'm done, now what? So, I jumped on and was like, "Wow, it's a bidet!" But, unfortunately, the controls were quite complicated. I knew what the button that was labeled "Stop" did, but the one with the apparent breasts being sprayed with water was disconcerning. 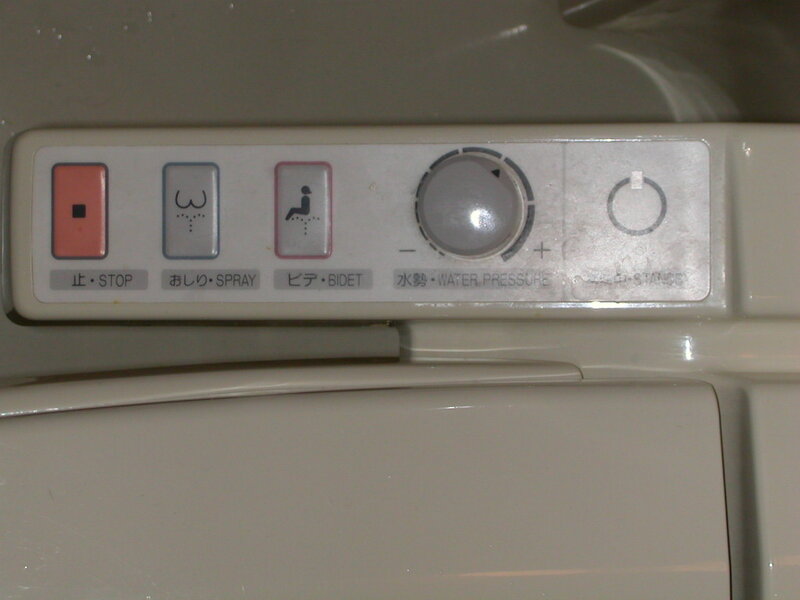 The bidet made sense and water pressure knob was fun to play with. What does standby do? Does it have something to do with the breast spray?